One of the great benefits of membership in BWA is the networking it affords us. Attendance at our meetings in a wonderful way to catch up with friends, and to network. As a Board, we are committed to providing you with a great lunch and location, and interesting speakers. Now, it's time for you to do your part. If you RSVP for lunch and you can not attend, please cancel your reservation. Remember, your dues barely cover the luncheon costs, and we have other yearly administrative expenses. We ask for you to be considerate and cancel if something comes up and you can't attend. I look forward to seeing you all at our April meeting where we will hear an update from the NSU Museum of Art, from Bonnie Clearwater, the Director, and Chief Curator. Bonnie Clearwater, Director, and Chief Curator, NSU Art Museum Fort Lauderdale, will highlight the museum’s exciting current and upcoming exhibitions, including Some Aesthetic Decisions: Centennial Celebration of Marcel Duchamp’s Fountain, opening in May. Commemorating the 100th anniversary of an event that changed the course of art history, the exhibition will explore issues of beauty, value, and judgment, through works by Duchamp, Alfred Stieglitz, Andy Warhol, Jeff Koons. and others. 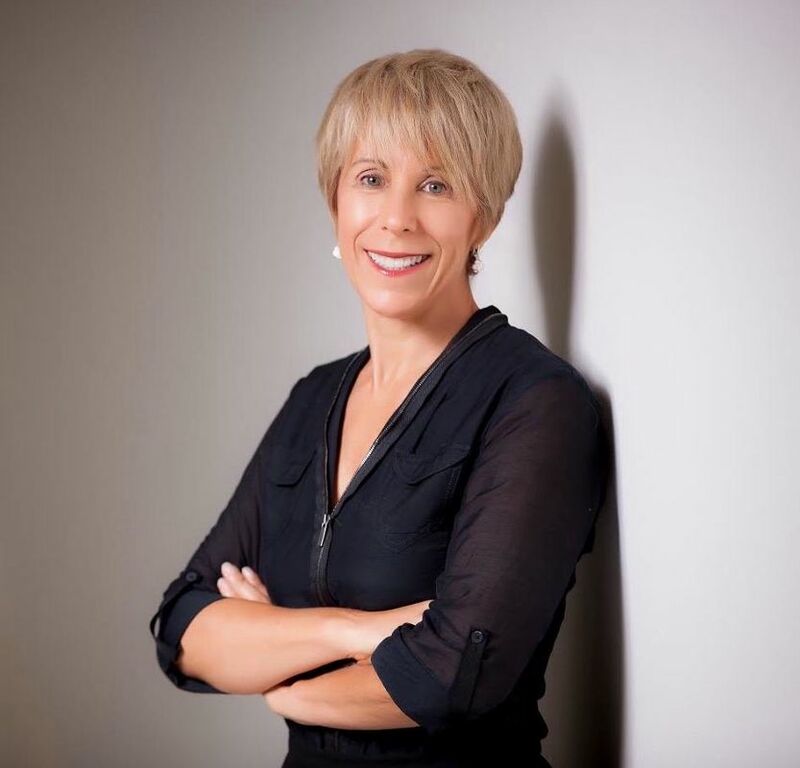 Lorna Brown-Burton is the Co-Founder & Co-Manager of the firm, Brown-Burton & DeMicco, PLLC which was established in July 2014 when her firm, Law Office of Lorna E. Brown-Burton, P.A. merged with The DeMicco Firm, P.A. Prior to that Lorna owned and operated her own firm, Law Office of Lorna E. Brown-Burton, P.A. from February 2004 through August 2014. Prior to that Lorna practiced law with other firms in Broward County. Lorna's primary area of practice where she is in her 30th year is Workers’ Compensation defense where she enjoys a stellar reputation as an advocate for the Employer/Carrier/Serving Agent/Self-Insured. Lorna also has experience in the area of Labor & Employment Law and social Security Disability and does also practice Consumer Bankruptcy Law. Lorna believes in giving back to the community and making the difference in the lives of others. As such Lorna has served as a member and a officer of Legal Aid Board of Directors where she was active with fundraising activities such as For the Public Good, the Broward County Bar Association, Young Lawyers Section, the Florida Bar Grievance Committee, the Florida Bar Young Lawyers Division and now serves as the 17th circuit representative on the Florida Bar Board of Governors. 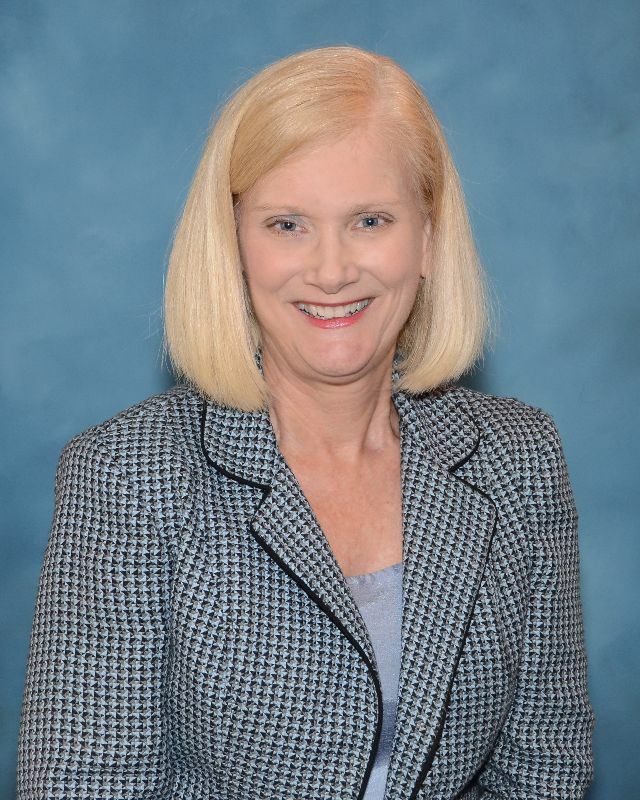 Currently, Lorna also serves on the City of Coral Springs CRA Board and is also the Chair of the Board of Directors for the Girl Scouts of Southeast Florida where she just started her third two-year term. Lorna has been the recipient of many awards that includes being recognized for her achievements in Legacy Magazine as one of “50 Most Powerful and Influential Leaders of 2016, “Who’s Who in Black South Florida”, The Inaugural Edition, 2007, as one of South Florida’s Most Influential, “Who’s Who in Black South Florida”, The Second Edition, 2009, as South Florida’s Counselors, and has also been recognized by ICABA, Profile Directory of South Florida’s 100 Most Accomplished Blacks in Healthcare and Law, The Inaugural Edition, 2009. 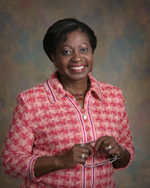 Ms. Brown-Burton was also featured in The Broward Alliance 2009 Economic Sourcebook. Lorna is proud to be a member of Broward women’s Alliance as she is passionate about the mission of Broward Women’s Alliance in making a difference in the lives of women. Monica Estevez has always been drawn to a creative culture including dance and the arts. She earned her Bachelor of Arts degree in Communications with a minor in dance at California State University, Long Beach. While in college, Monica traveled through Europe with a dance company. When she returned home, she became an intern for a dance magazine where she was eventually hired for a creative management role. She has also worked in film for Orion Pictures, and television for DirecTV Latin America in media planning, buying, and programming. Monica transitioned to the not for profit sector in South Florida when she was hired as a Marketing Director for the Art & Culture Center of Hollywood. 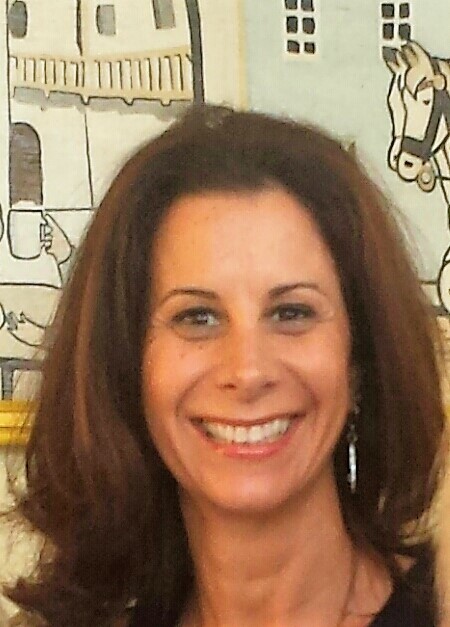 She has been a successful marketer for the non-profit sector and arts for 16 years. She continues to learn and grow professionally by being in an environment she enjoys and is passionate about. Since the Scholarship Program last month, I have heard from our recipients and I thought the membership would like to see the comments they sent to me. And finally – we had one recipient from 2016, Tanganyika Frederick, who was unable to attend the lunch and program and she was not happy to miss it, but she had two critical classes and an exam that week and simply couldn’t make it. She sent me the statement below while she thought she would be attending, and when she could not, asked that I use it in her absence. Just a couple of additional facts about Tangy: while she was at Keiser College, she maintained a 4.0 GPA, was a member of the national honor society Phi Theta Kappa and was a Guardian ad Litem. She is also a full-time caretaker of her parents. Below, in her own words, is what she wanted you to know about her. Thank you for reaching out to me again. I had to transfer from Keiser University to Broward College because the tuition is extremely high at Keiser. I did not want to drop out of school and throw my dreams and goals away. So I brushed myself off and started a new semester in Sept 2016 right after I finished my semester at Keiser. I did not want to take a break from school. I am doing everything that I can to get my degree no matter what obstacles come my way. I thought to myself:”…this is the perfect opportunity to rise, to grow and to become stronger.” At Broward College, I am majoring in programming and will get my Associate in Science degree in Computer Programming. My goal is to become a software engineer. I will develop augmented reality software for the medical field, education, and software for cyber security. Since I enrolled at Broward College, I have won two Hackathons with the help of a team. 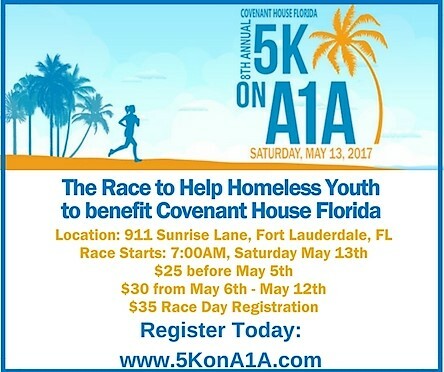 One was the Broward College 24-hour Hackathon that was in October 2016. The other was an FLPD Hackathon which took place about two weeks ago (This happened late in February). In addition, I was elected President of the Broward College InTech Club, which is a club for those who are interested in developing apps, software, and websites. Recently I was invited to, and will attend, a Women’s Conference in New York at the United Nations Headquarters from March16th-19th. I am still taking care of both of my parents. I have a lot more to learn and accomplish as an aspiring software engineer. I look forward to seeing everyone in a few weeks. Once again, thank you for your time. March 14th, 2017 was Proclaimed as “ Broward Means Business - Allied Kitchen and Bath Day “ by Mayor Barbara Sharief as a part of her Broward Means Business Recognition Program. The Broward Means Business Award is presented to businesses who are leaders in the community, contribute outstanding service, and have an established presence in Broward County. Mayor Barbara Sharief founded and continues the Broward Means Business initiative which focuses on developing businesses in the community. Additionally, Mayor Sharief has been a speaker at one of our BWA programs this past year and she made a lovely donation to our Scholarship program to allow BWA to add another worthy student to the list of scholarship recipients. Exposed is an exhibition and fundraiser that gives the public an opportunity to collect an original work(s) of art while supporting the interdisciplinary practices of South Florida artists, artist-run spaces, and galleries. The exhibition features about 100 artworks that are donated by practicing artists and exhibited in the build-up to a fun and exciting closing-night random drawing, in which every ticket buyer “wins” these exhibited works. The 9th Annual Golf for Art is a day of golf and fun while benefiting the Art and Culture Center/Hollywood. Play the championship, par-70, Hollywood Beach Golf Resort. Golf for Art includes a continental breakfast as well as complimentary Bloody Mary’s, Screwdrivers, beer, Gatorade, and other beverages. The event concludes with an awards luncheon featuring a live auction and door prize drawings. Golfers will also get a chance to meet 10-time PGA Tour winner Mark McCumber. Tickets to participate in Golf for Art are $125 per golfer. International group exhibition, talks, and tours of artists from the Downtown Hollywood MuralProject. Opening Reception is April 28, 6-9 pm. Artist Talk with London Police is May 16 at 6:30 pm. The Art and Culture Center/Hollywood’s 20th Annual Cuisine for Art fundraiser features elected government officials such as State Senators, State Representatives, County and City Commissioners and community leaders serving as Celebrity Waiters during an exciting and entertaining evening. The event begins at 6:30 pm with a cocktail reception and silent auction, and continues at 7:30 pm with a three-course meal, live entertainment, live auction and the presentation of this year’s honoree. This year’s soiree will be held at the Hard Rock Live at the Seminole Hard Rock Hotel & Casino and will feature a “Cabaret of Stars”. For over 50 years Nova Southeastern University has studied marine science in Broward county and around the world. 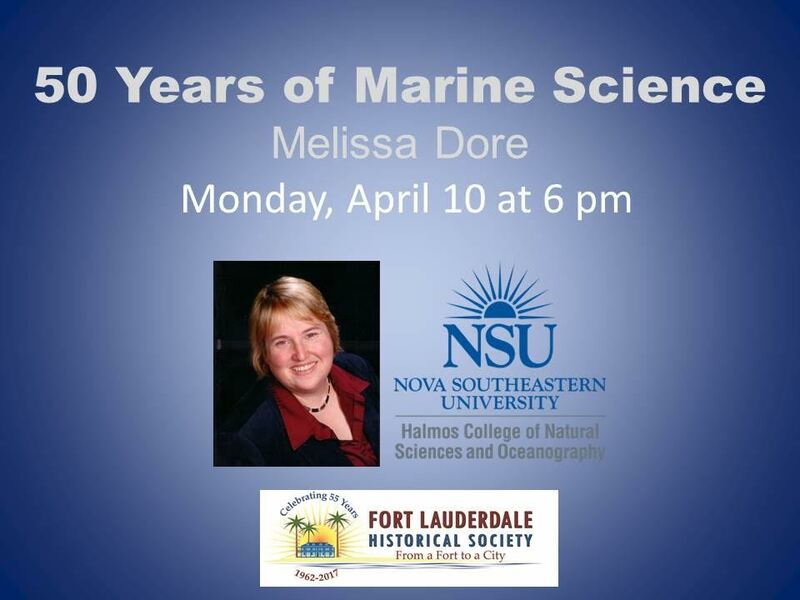 Come explore our county’s science past and learn of its future with Melissa “Missy” Dore. Broward Education hosts the annual Black & White Gala presented by BrightStar Credit Union beginning at 6:30 p.m. on Friday, April 21 at Westin Fort Lauderdale Beach Resort, 321 N. Fort Lauderdale Beach Blvd. This year's honorees are Memorial Healthcare System and Arthur J. Gallagher & Co., recognized for their outstanding philanthropy and their impact on educating tomorrow’s leaders. Guests will enjoy a cocktail reception and silent auction, followed by a tribute ceremony, dinner, and dancing. Tickets are $175 per person. Lipton Toyota has generously donated a three-year lease on a 2017 Camry SE for the Gala. From today through the evening of the event, anyone can donate to win at www.browardedfoundation.org/gala. Each ticket is $100 and only 200 tickets are allotted. Second prize is $1,000 and the winner need not be present to win. Funds raised by the Broward Education Foundation provide support for innovative teaching to increase student learning outcomes from Pre-K to grade 12; much-needed supplies for low-income students in classrooms; and scholarships for qualified graduating high school seniors. Each year, the Foundation contributes more than $2.2 million to Broward County schools, serving as the catalyst for educational excellence. The Starfish Luncheon is an opportunity to honor those who have made a significant contribution to improving the lives of survivors of domestic violence while raising much-needed funds to support the free services we provide to women, children, and men seeking help and healing.